Though people and machines are different, acts of civility are driven by habits. Being impolite to Alexa can cause bad habits, especially in children, that may lead to incivility between people. This was not the first time Abigail overheard her four-year-old daughter give forceful commands, completely void of courtesy and social grace, to the family’s A.I. voice assistant. This is an inner dialogue many parents today are familiar with. They wonder whether they should be instructing their children to speak politely to artificial intelligence. Is it important for us to speak politely to household machines? It is a truism that people, and not gadgets, inherently deserve respect. Only people have human dignity, the philosphical foundation for universal human rights, and are equally endowed with intrinsic worth. However, though people and machines are different and are not due the same respect, acts of civility are driven by habits. 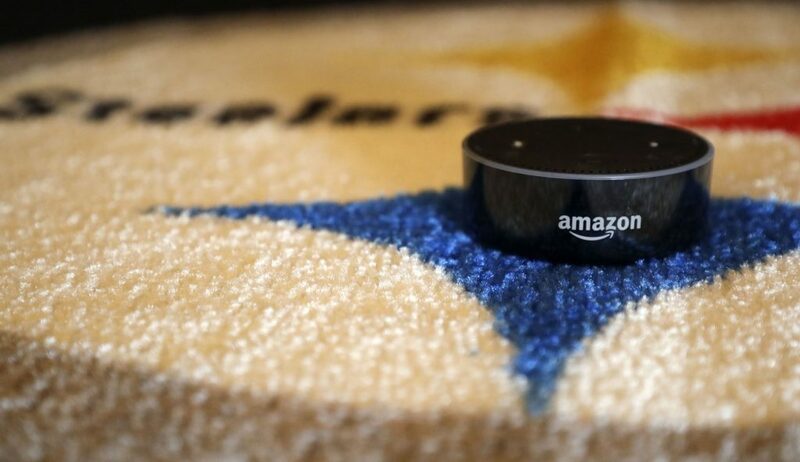 Being impolite to Alexa can cause bad habits, especially in children, that may lead to incivility in the people we encounter. A demeanor of respect, one that does not continually calculate the level of respect we ought to pay our intern versus our CEO, is the sort of habit of excellence that we can all strive to cultivate. Silly though it may seem, this habit formation, especially for children, starts with how we treat Alexa. Instead of voice assistant technology competing with face-to-face interaction as some fear, by ensuring children have the opportunity to develop the habits that help them better respect one another, FreeTime has the potential to strengthen a child’s ability to have human connection and interact in social settings. One other salient example of this positive use of technology is Milo, a robot created to support students with Autism Spectrum Disorder improve their communication and social skills with others. A 2017 study by Commonsense Media, a non-profit, revealed that 98 percent of American households have a tablet or smartphone, and the amount of time children spend on these devices has tripled since 2013. Some may find this concerning, but it is also a tremendous opportunity for companies that produce these devices and smart home services to support parents in instructing their children in habits of common courtesies. They should capitalize on this and follow Amazon’s lead. It is especially important that children are taught these pro forma courtesies before they fully comprehend the significance of interpersonal power dynamics, such as those described in Elias Canetti’s Crowds and Power. Children must learn these common niceties prior to understanding the concept of personhood, and how the way that they communicate can either respect or belittle the dignity of those they encounter. As Aristotle explained 2,000 years ago, our actions form character, and then our character informs our actions. As Abagail rightly noted, people are indeed different from machines. Gadgets do not bare the dignity that we do as human beings, and therefore do not merit the same level of respect that we owe to one another. However, in cultivating habits of respect and charity toward all, including Alexa, we take an important step to move away from the problematic process of constantly discerning what or who is worth being civil to. There is little harm in ensuring your child is polite to Alexa. There is ample harm in, because of bad habits that start with hollering at Alexa, making those around us feel diminished in value. “Adapt or perish, now as ever, is nature’s inexorable imperative,” instructed H.G. Welles, the father of science fiction and an early conceptualizer of artificial intelligence. Adaptation is done best by using old values (such as the inherent value of every person) to navigate new landscapes (such as our interaction with the new inventions like the Alexas of the world). Let us therefore cultivate habits of courtesy and civility to all, including Alexa.